We are all so busy! One of our greatest challenges is getting someone’s attention long enough for them to want more information. Video technology (TV, Internet, DVD, etc.) is now commonplace and most of us are wired to need video ‘stimulation’ to help us pay attention; just ask teachers! So, when you first launch your Juice Plus+ business or first introduce Juice Plus+ to someone. it makes sense to include a video in your Introductory Email. We can also text our ‘Come Join Us’ Videos right from your phone or computer. Please watch our “Bridging the Gap” video, and let me know what you think. On most email systems you can copy and paste the text and image below (in one go) into an email and send it to someone. Test this first by sending it to yourself, as some email systems lose the image! Grow a profitable business in your spare time… with a Juice Plus+ Virtual Franchise. and start your own Virtual Franchise, you’ll understand its potential to help you build a part-time income while making a difference in the lives of others. how thousands of people around the world have each built their own successful business based on one simple ingredient: their enthusiasm for the proven health benefits of Juice Plus+. Dr. Mitra Ray, a successful PhD biochemist, left her research career to spread the message of health and wellness with the world. 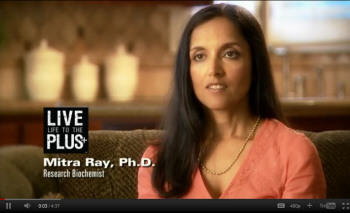 You can watch a short video of Dr. Ray by clicking here. Our family has taken up the Juice Plus+ habit and I hope you will too. Juice Plus+ makes complete sense to us: it is the next best thing to fruits and vegetables; it is the most thoroughly researched nutritional product in history; and it is making a difference in the homes of hundreds of thousands of families around the world, including ours. Juice Plus+ is the most thoroughly researched brand name nutrition in history, with 30+ studies published in medical and nutrition journals and many more studies underway. You can learn more about Juice Plus+ and the medical research behind it at my website below. 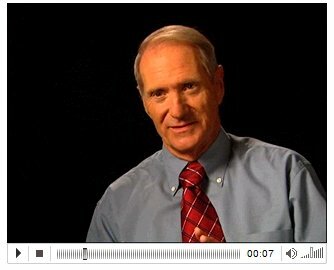 On his “9 Simple Steps” DVD, Dr. Bill Sears (Pediatrician) discusses the importance of eating a rainbow of colorful fruits and vegetables, consuming good sources of fat like salmon and avocados, starting your day with a ‘brainy breakfast’, and adding a whole food based supplement to the family diet called Juice Plus+. You can watch a short video of Dr. Sears by clicking here. My family and I have taken up the Juice Plus+ habit and I hope you will too. Juice Plus+ makes complete sense to us: it is the next best thing to fruits and vegetables; it is the most thoroughly researched nutritional product in history; and it is making a difference in the homes of hundreds of thousands of families around the world, including ours. Would you like to learn more? If so, you can watch the “9 Simple Steps” video online. On her “The Heart of the Matter” DVD, Dr. Tamara Sachs (Internal Medicine) discusses her experience treating thousands of cancer patients. 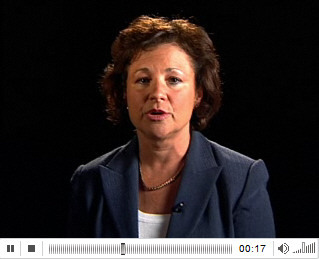 You can watch a short video of Dr. Sachs by clicking here. Would you like to learn more? If so, you can watch the full “The Heart of the Matter” DVD online here. breakfast’, and adding a whole food based supplement to the family diet called Juice Plus+. 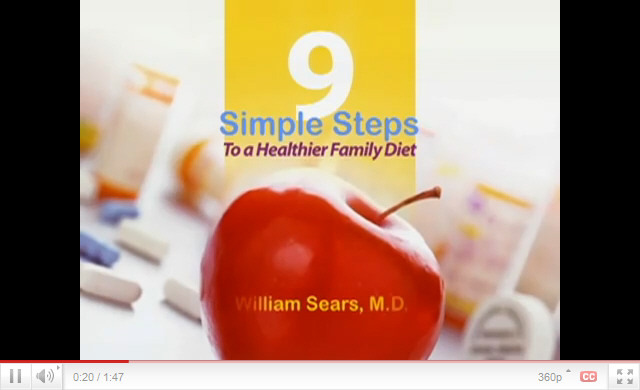 Enjoy these videos as Dr. Sears guides you to a Healthy Family. Juice Plus+ is the most thoroughly researched brand name nutrition in history, with 30+ studies published in medical and nutrition journals and many more studies underway. Juice Plus+ is the only nutritional product Dr. Sears personally takes and recommends to patients and friends. As you invest in your own health, learn how to get Juice Plus+ free for your child aged 4-18 or for your full-time college student by enrolling him or her in the Juice Plus+ Health Study. We have more than 1,000,000 children enrolled in the Study in 14 countries. For over 40 years Dr. William Sears has advised two generations of busy parents on how to raise healthier families. He and his wife Martha have authored 40 books and countless articles on parenting and childcare, and he serves as a medical and parenting consultant for Baby Talk and Parenting magazines. Dr. Sears has appeared on over 100 television programs, including 20/20, Dateline, Good Morning America, Oprah Winfrey, and The Today Show. Now Dr. Sears offers Prime-Time Health: a healthy-aging program, based on his 13 years of experience and personal research since surgery for prostate cancer. His plan is scientifically proven to help prevent disease, sharpen thinking, boost energy and take charge of your life. Enjoy these videos as Dr. Sears guides you to Prime-time Health. As you invest in your own health, learn how to get Juice Plus+ free for your child aged 4-18 or for your full-time college student by enrolling him or her in the Juice Plus+ Health Study. We have more than 700,000 children enrolled in the Study in 14 countries. Juice Plus+ is simply, yet powerfully, 17 fruits, vegetables and grains that have been juiced, dried and put into capsules and soft chewables. Our entire family takes Juice Plus+, and will never be without it. We encourage you to watch our 10 minute video below which explains exactly what Juice Plus+ is, how it’s made, and why it is the most thoroughly researched and top selling nutritional product (in a capsule) in the world. There are also links to the expert opinions of other medical professionals below. You might also be interested in the Juice Plus+ Children’s Health Study. When a parent or grandparent becomes a Juice Plus+ customer, we can sponsor a child into the Health Study and make a donation, so the child (aged between 4 and college age) gets Juice Plus+ free. We simply ask you to complete a questionnaire three times during the course of a year, reporting the improvements you’ve seen in the health of both yourself and your child. This is a terrific study with over 1,00,000 children enrolled in 14 countries. The results are outstanding, take a look: www.childrenshealthstudy.com. Juice Plus+ comes in a 4-month supply. The cost of the capsules is $44.75 a month. You can order at our website below or by replying to this email. If you’d like to enroll in the Juice Plus+ Children’s Health Study, please let us know as this cannot be done online.